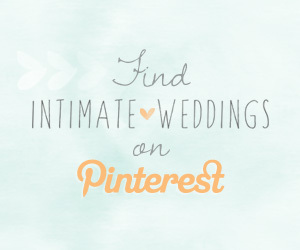 In many wedding scrapbooks, dreams or Pinterest pages it is extremely likely that you might find a chignon or variation of one in there. 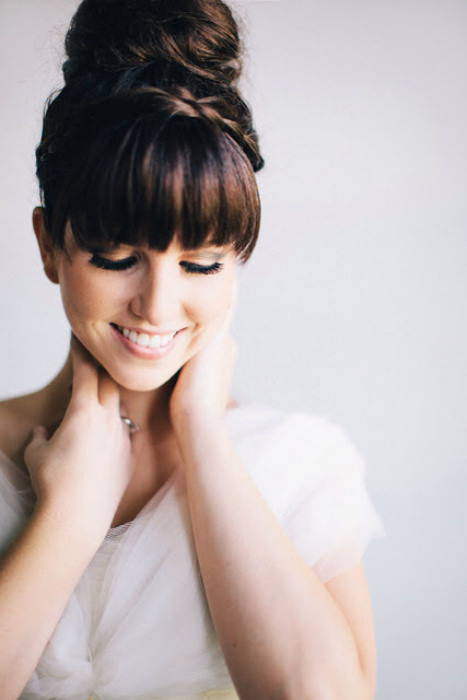 It’s a classic and sophisticated hairstyle for brides opting for an updo. 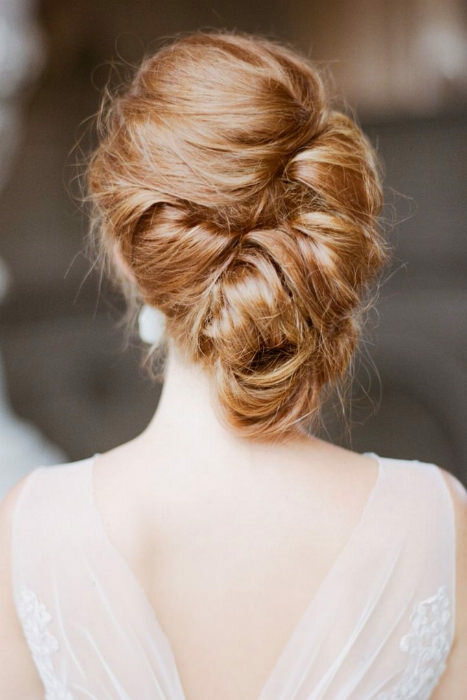 But with all of the exciting loose styles and there being a certain allure not to mention ease in wearing your hair down, it’s easy for an updo to get left behind. 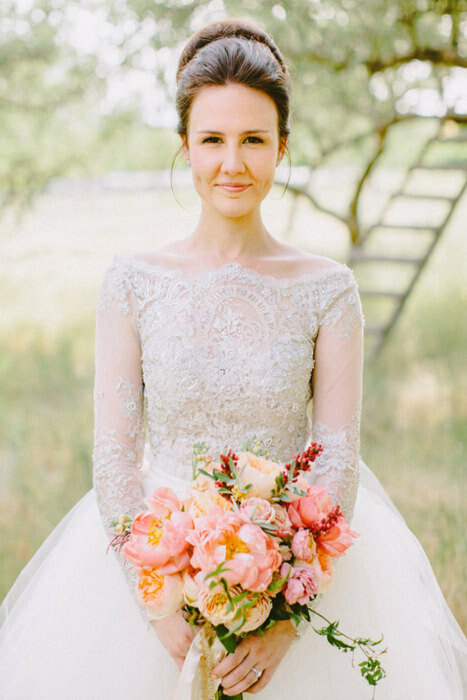 For the bride who wants to have their hair up, a chignon may be chic but there are so many other stunning bridal updos for both short and long hair. 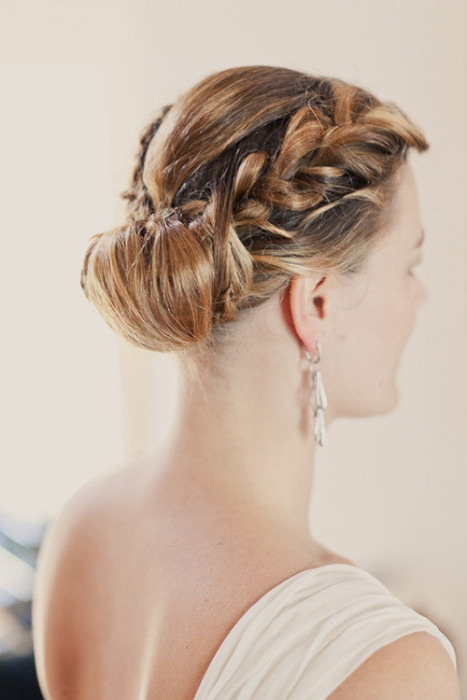 These dos incorporate braids, texture and accessories to ensure that an updo is no longer the ‘safe’ option. A bun could quite possibly be the hairstyle to trump all hairstyles. It’s versatile as you can wear it high in a ballerina-esque look or low for an effortless but elegant option. You can also play around with the texture of your bun to create more interest with soft twists or backcombing to create some retro volume. 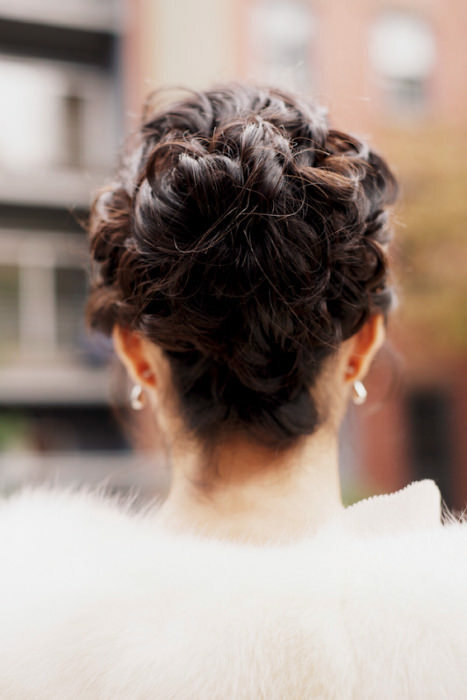 We love to see braids being incorporated into bridal updos. 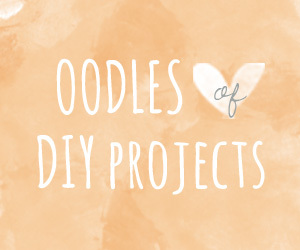 Braids are a big deal, you can tell by the multitude of styles and their accompanying names. Fishtail, waterfall and so on. 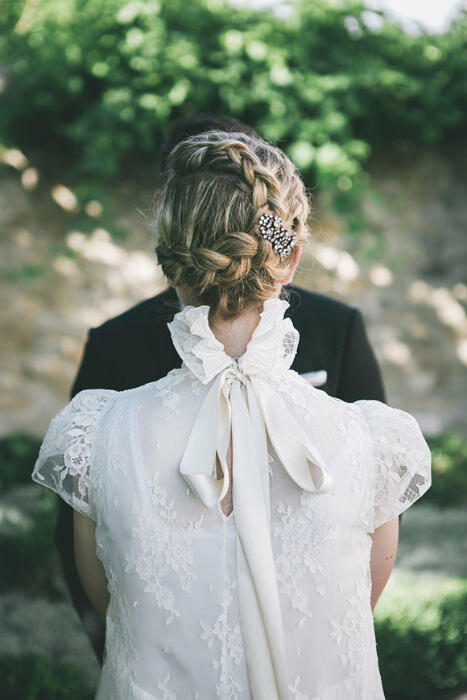 You can use braids to create a hairband which will look great for a country wedding. Braids can also be weaved into chignons or wrapped around a bun to give them an edge. 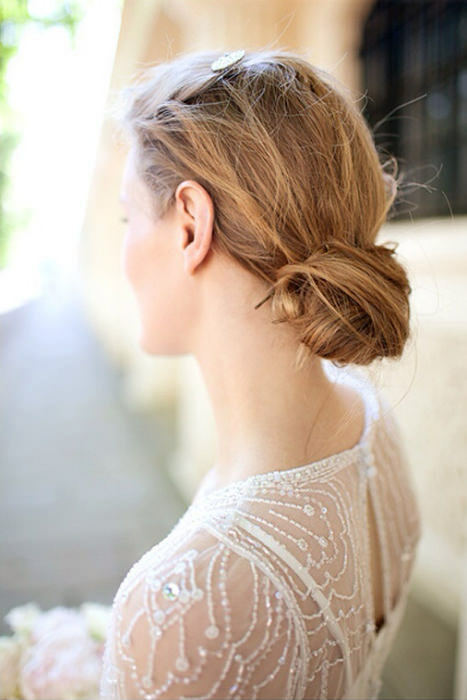 Intentionally messy updos are the perfect contrast to formal styles of dress or to fit in with casual affairs. Loose tendrils of hair can frame the face and make a complicated hairstyle look softer. Embrace the natural texture of your hair (with copious amounts of bobby pins) in these carefree styles. 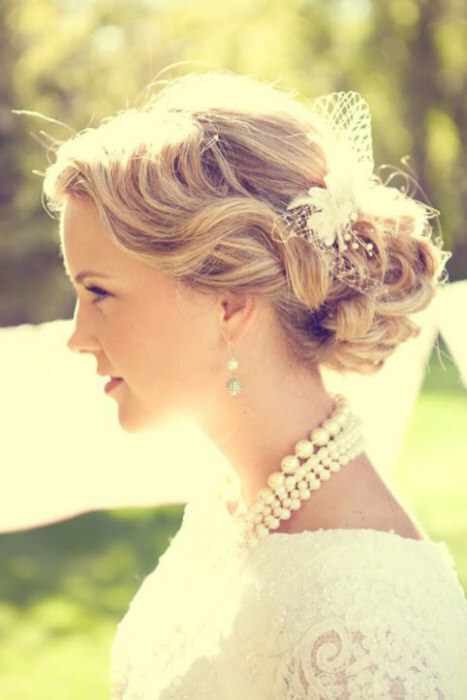 Accessories are a great finishing touch for your updo. 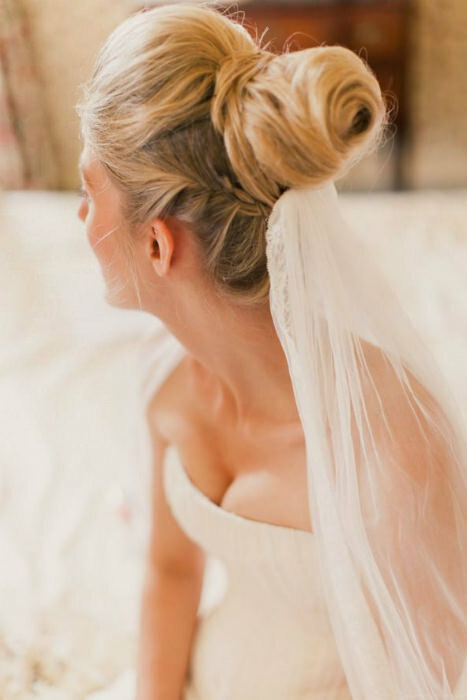 Veils can work well, especially when placed just underneath a bun. 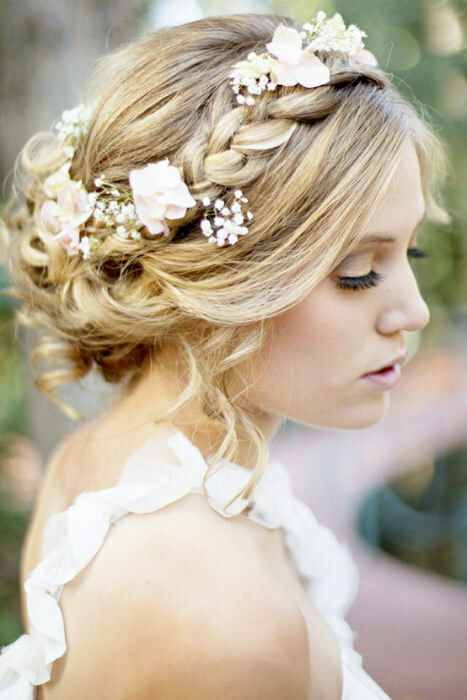 To give your braids a bohemian look, pin fresh flowers in between them. 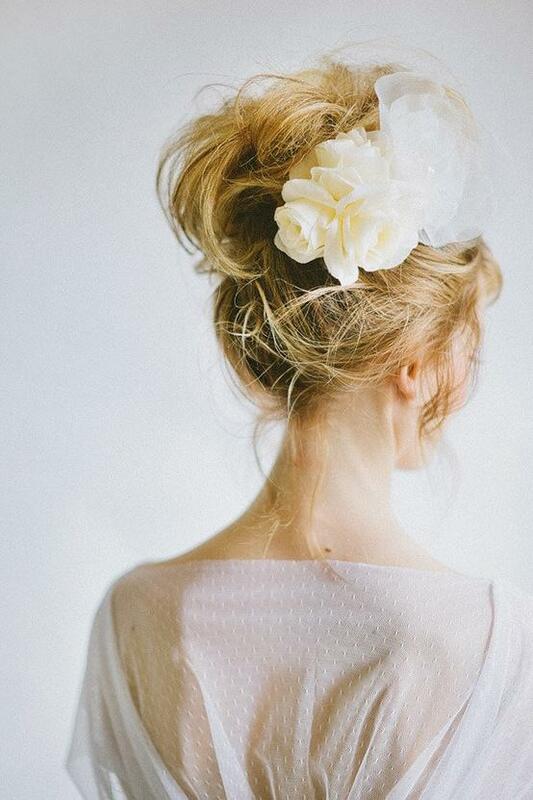 To give your messy updo some substance you can add an embellished headband to complete it.